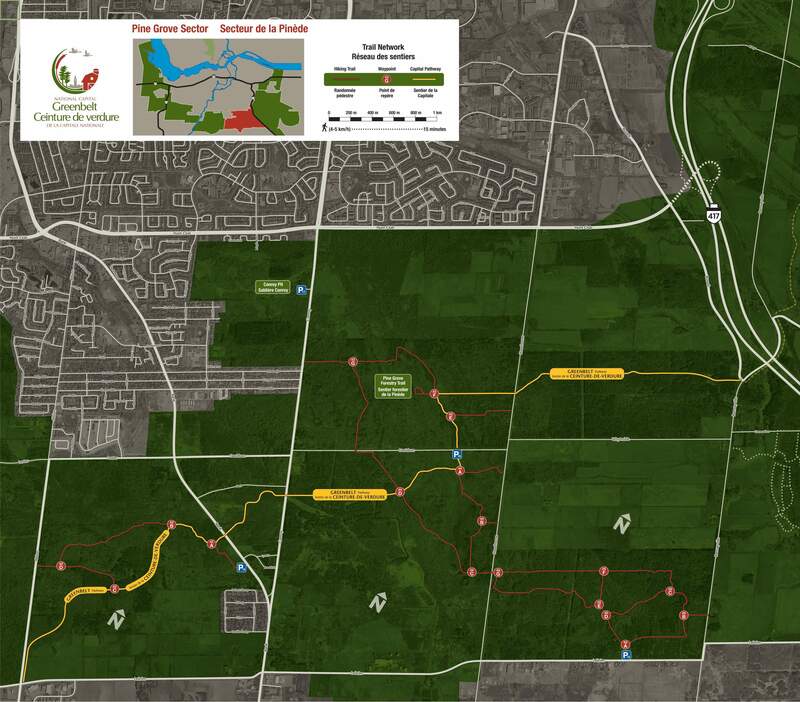 This morning I headed out to discover the Pine Grove Sector of the Greenbelt pathway. While passing Hawthorne Park on the way, I noticed this elegant baseball fence behind home plate, made out of chain-link fencing no less. 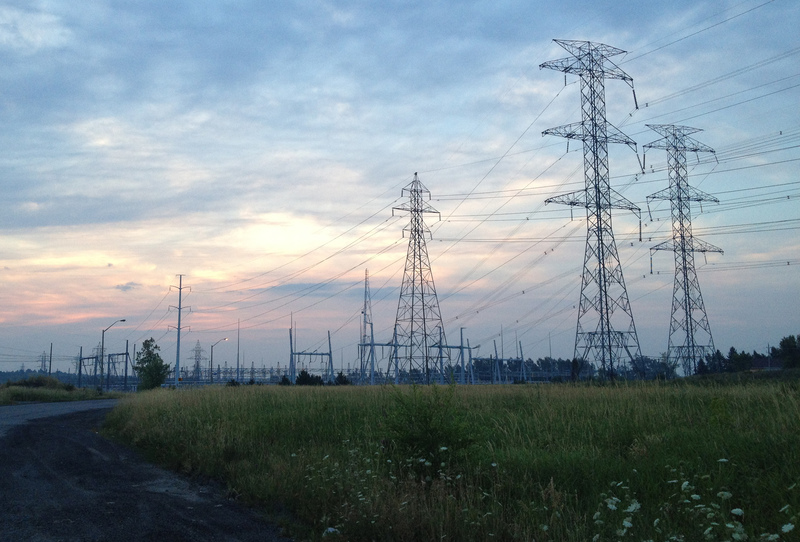 Still en route, I biked under the wires leading from this hydro complex along Russell Road, as they buzzed madly above me. 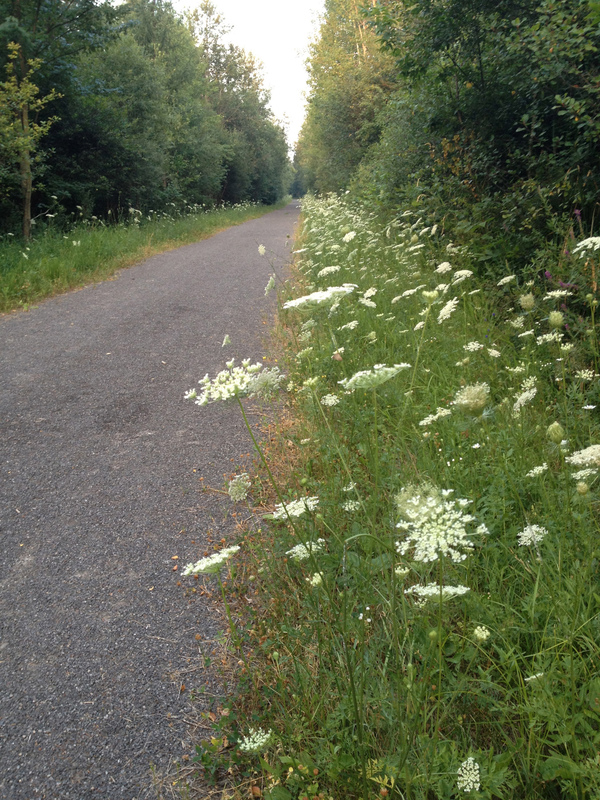 The first stretch of trail between Russell Road and Hawthorne Road is lined with Queen Anne’s Lace growing as tall as my handle bars. The trail eventually bends just before the entrance to Pine Grove Forestry Trail. I didn’t have time to explore the trail, but I did notice the first of these small interpretive panels, the graphics for which are so beautifully layed out. The artist who rendered them is Kiyomi Shoyama. I will return with Carla and the kids to visit the Pine Grove Forestry Trail on the weekend. There are a number of larger interpretive panels on the way to where the path crosses Davidson Road, to be studied when we return. Previous Previous post: Boulevard de la Technologie, and beyond….